*Limited time offer; subject to change; valid to qualified residential customers who have not subscribed to any services within the previous 30 days and who have no outstanding obligation to Charter. Standard rates apply after yr. 1. Price for Spectrum TV is $44.99/mo for yr. 1; standard rates apply after yr 1. Installation, equipment, taxes, fees and surcharges extra; additional services are extra. General Terms: TV: TV equipment required, charges may apply. Channel and HD programming availability based on level of service. Account credentials may be required to stream some TV content online. Services subject to all applicable service terms and conditions, subject to change. Services not available in all areas. Restrictions apply. Enter your address to determine availability. o	HD-capable equipment required to view HD programming, where available; not all channels are available in HD. o	All programming may not be available to CableCARD™ customers. o	On Demand/Pay-per-view programming varies by level of service; pricing, ratings & scheduling are subject to change. o	3D viewing requires 3D TV, glasses and compatible digital receiver; programming varies by level of service. o	For all Digital markets, a Charter-issued digital receiver, or CableCARD™ or Spectrum TV app is required to view programming channels, and a Charter-issued digital receiver is required to view PPV and On Demand programming, where available. o	All service levels may contain channels with some R-rated programming, which can be blocked using the Parental Control feature on your on-screen program guide. o	Channel and HD programming availability may vary by area. FREE Spectrum TV® App Stream shows, movies, sports and more at home and on-the-go. Watch over 180 live channels, including your local channels, plus choose from up to 30,000 On Demand titles to watch in any room at home. Stream over 150 live channels and access up to 20,000 On Demand titles to watch on-the-go. FREE access to channel apps Download over 80 network apps on your devices and watch shows, movies and sports on-the-go. *Installation, equipment, taxes, fees and surcharges extra; all rates subject to change; credit approval, prepayment or major credit card may be required. Services may not be available in all areas - please enter your address to determine availability. Services are subject to all applicable service terms & conditions, which are subject to change. Promotional Pricing: Different rates, terms and/or conditions of service may apply to promotional offers. Promotional offers to qualifying customers are valid for a limited time only and restrictions apply; without limitation, "qualifying customer" shall mean a customer who has not subscribed to applicable services within the previous 30 days and has no outstanding obligation to Charter. Standard rates apply after promotional period expires. Trademarks belong to their respective owners. © Charter Communications, Inc. All rights reserved. Customers are not required to subscribe to any tier of service, other than the basic service tier, in order to purchase premium channels or, where available, Pay-Per-View or On Demand. The programs, packages, services, number of channels, content, format, rates and other aspects of Charter offerings are subject to change or discontinuance at any time in accordance with applicable law. HD-capable equipment required to view HD programming, where available; not all channels are available in HD. All programming may not be available to CableCARD™ customers. On Demand/Pay-per-view programming varies by level of service; pricing, ratings & scheduling are subject to change. 3D viewing requires 3D TV, glasses and compatible digital receiver; programming varies by level of service. 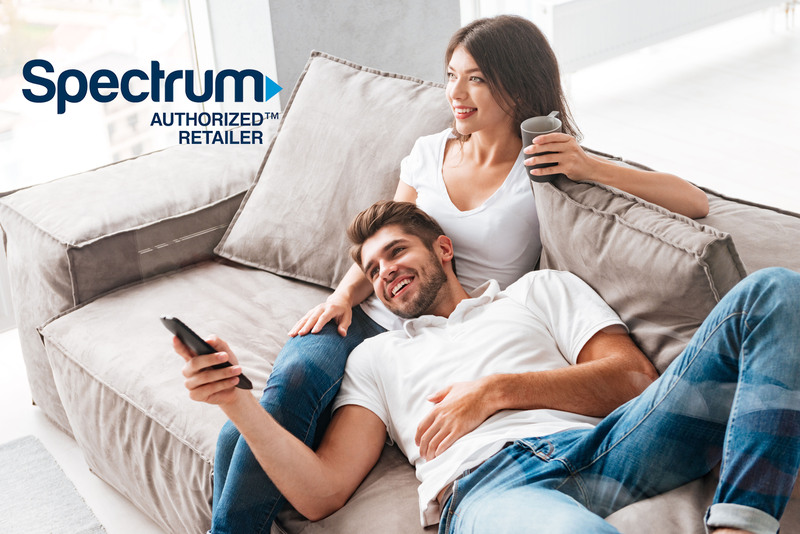 For all Digital markets, a Charter-issued digital receiver, or CableCARD™ or Spectrum TV app is required to view programming channels, and a Charter-issued digital receiver is required to view PPV and On Demand programming, where available. All service levels may contain channels with some R-rated programming, which can be blocked using the Parental Control feature on your on-screen program guide. Channel and HD programming availability may vary by area.